Day 1 of Copenhagen Fashion week and we were seated for our first show. Usually it is a known fact that is it rude to stare but on this occasion we both decided that it was allowed and we had absolutely no shame. Every single person coming in the door to take their seats had an INSANE outfit on and we were obsessed. We found ourselves just constantly muttering ‘ a viiibbbbe’ to each other as everyone effortlessly floated in. There was a way in which everyone looked so casually put together, nothing seemed too forced or contrived about their outfits. On our first day when we met up with our lovely photographer friend Anna one of the first things she said to us was ‘ I love a fashion week you don’t have to bring heels to’ and she was right. Although personally we love wearing heels as they make us feel great, we did notice a lot of flat shoes on the streets of Copenhagen. Arguably trainers are very ‘on trend’ and therefore it does not seem out of the question to be seeing a lot of these around, but equally a flat shoe is a necessity when you are arriving to the shows and leaving them on a bicycle!- This was an awesome sight to see, swarms of well dressed women riding along. Often people find dressing with a lot of colour scary or a bit brash. We are HUGE fans of colour and so to see it worn so well was super exciting. The Scandi woman wore colour with such class and again (a word we will be using a lot throughout this post) effortlessly! The main colours we saw a LOT of this season were purple and green both together and separately. We felt overwhelmed with inspiration. Remember when you were younger and would go out of the house without a coat and your parents would tell you that you would be cold but ‘ a coat just doesn’t go with my outfit’. Well it seems that the Scandi girls had a knack of MAKING the coat the outfit. 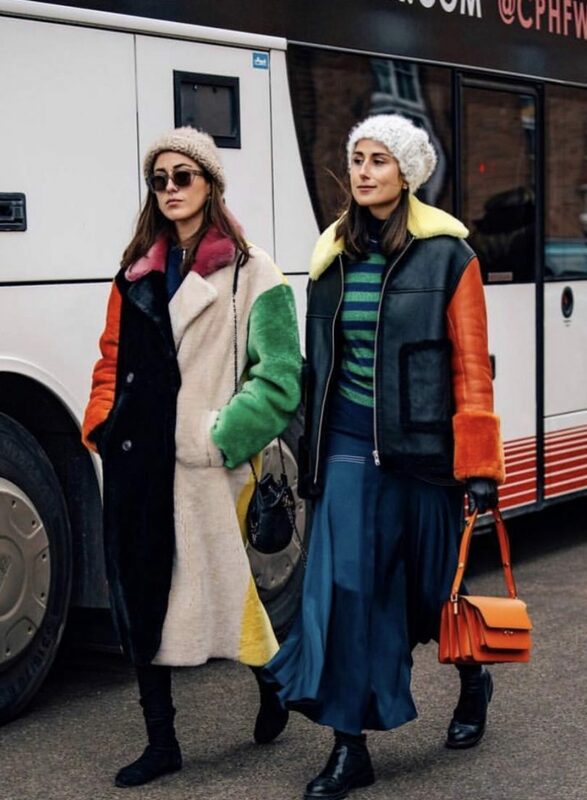 It is almost as though their first thought was ‘will I be warm enough’ which does seem very sensible and now we’re thinking about it further very obvious… We saw a whole range of coats from various patterns, textures and colours to ones that created a monochromatic look. We even saw one lady in a purple ski suit. Warm and cosy to defeat the chill but with perfectly positioned clips in her hair to add the final touch to her outfit. She looked incredibly cool. 4.) If you don’t own hair accessories do you even go here?! 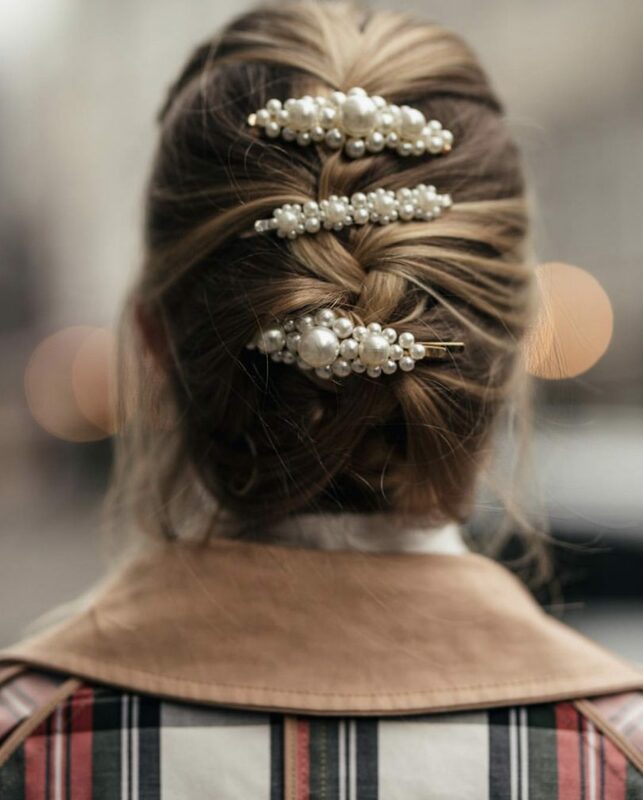 We have seen hair accessories being a huge trend since the end of last year and we have been on it since the beginning, purchasing every clip we lay our eyes on and putting them all together. The amount of hair accessories we saw in Copenhagen was staggering! Pearl clips in particular, we must have seen hundreds! It seems like for the Scandi girls checks are always in and always a thing. Bright orange check, yellow check, check upon check. We spotted one look that was 4 checks in one and it looked amazing! Like we have said many times now many of the Scandi woman have a way of making it so effortless and thrown together rather than contrived and obvious. 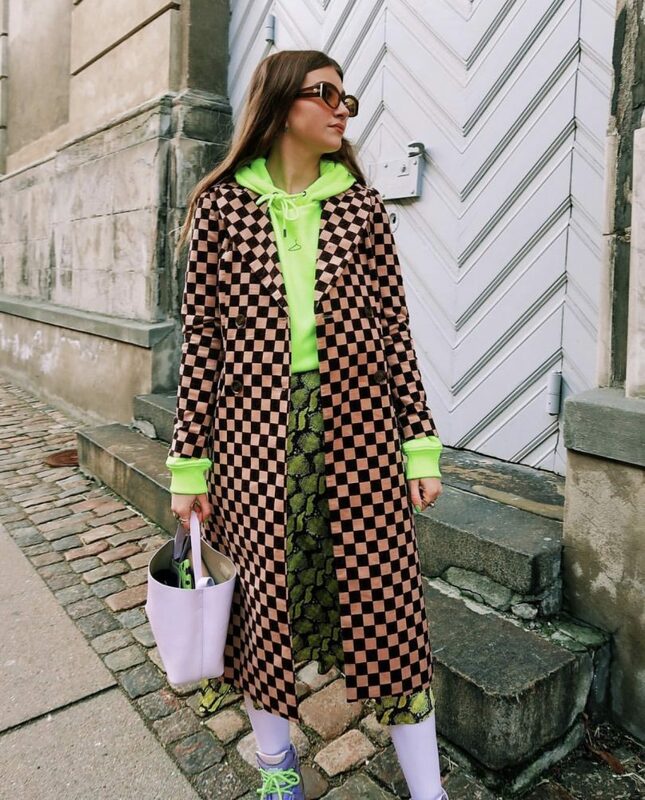 We will be posting a couple more blog posts on Copenhagen Fashion Week including what we wore there but now it is time to get planning London outfits! Perhaps we will take a little inspo from the Copenhagen ladies!